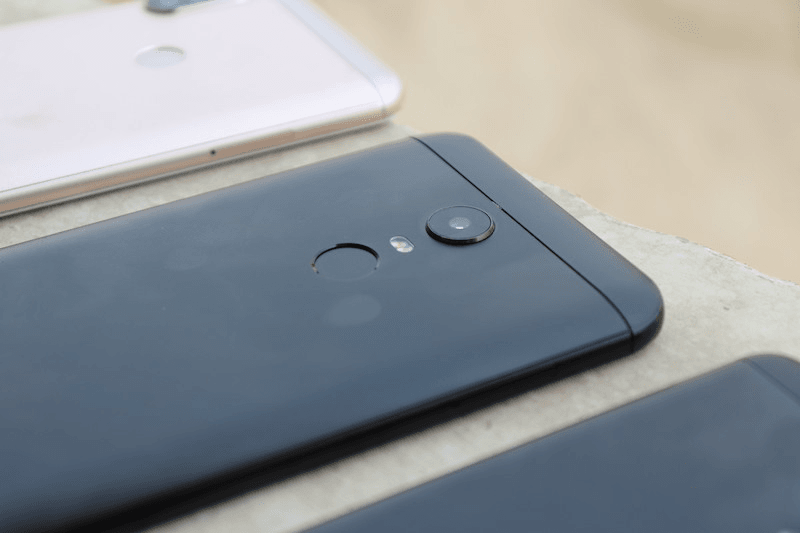 A few days ago, the Finnish giant, HMD Global announced the launch date, pricing and availability details of its latest smartphone, the Nokia 5.1 Plus. The phone is all set to land in the Indian market where it will go against other devices by Xiaomi like Redmi Note 5, Redmi Y2, Redmi 6 Pro and Honor 9N and Asus Zenfone Max Pro M1. Although this new device by Nokia doesn’t sport the best in class specifications as compared to some other devices, there are some quirks and additions which genuinely differentiate this phone. Read ahead to know what are some of the exclusive and unique features of the Nokia 5.1 Plus. The Nokia 5.1 Plus is one of the cheapest devices to offer a notched display alongside the likes of Realme 2, Xiaomi Redmi 6 Pro and Honor 9N. All these phones sport a larger display, but the 5.1 Plus comes with a 5.8-inch display which makes the overall footprint of the phone even smaller. Even though the phone is completely constructed out of the plastic, HMD has given a glossy look to the rear side which actually looks like glass. The phone also flaunts curved edges and CNC-machined metal camera bezels, along with the gloss finish owing to the 2.5D curved glass which is the reason for Nokia 5.1 Plus’ premium look. This one is a no-brainer for Nokia 5.1 Plus. 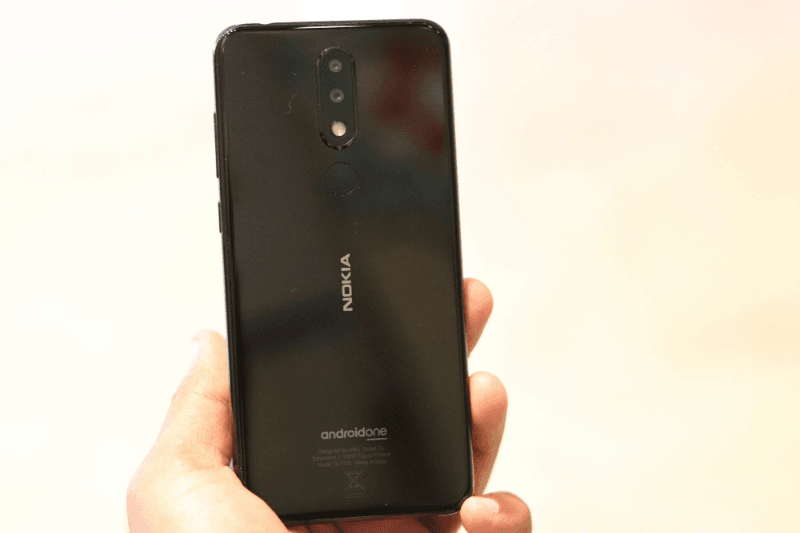 Being an HMD Global device, the Nokia 5.1 Plus debuts with Android One certifications and stock Android experience meaning that the phone will come without any bloatware and will also be eligible for the latest Android updates and monthly security updates. The phone will also be one of the quickest ones to receive the Android Pie update in the coming months. 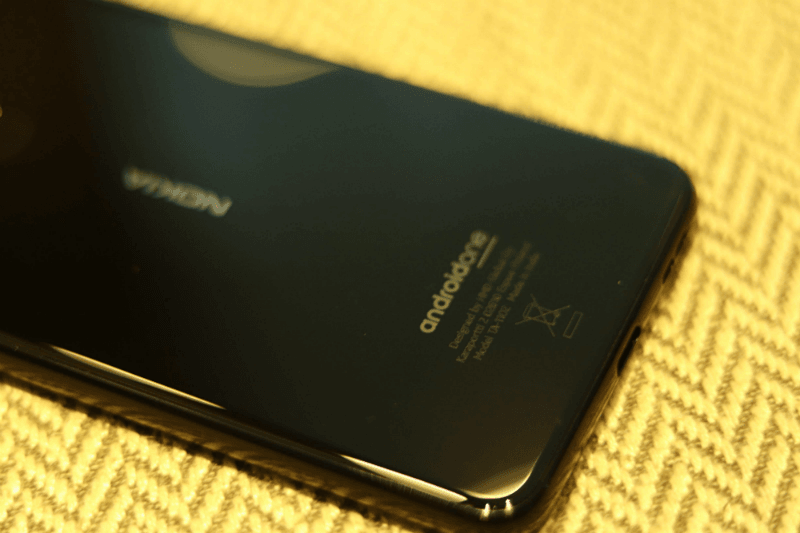 Unlike other budget offerings in the market right now which come with the dated micro USB port, the Nokia 5.1 Plus will come with a USB Type-C port. It’s interesting to see a budget-oriented smartphone coming with a USB Type-C port. However, the thing to note here is that the Nokia 5.1 Plus comes with the USB Type-C 2.0 instead of the latest USB Type-C 3.1. The Redmi Note 5 sports a single rear camera while the Nokia 5.1 Plus comes with 13MP+5MP cameras on the back. Also, on the front side, the 5.1 Plus has an 8MP shooter as opposed to the 5MP one we saw on the Xiaomi’s best-selling phone. The MediaTek Helio P60 chipset on the Nokia 5.1 Plus is way superior than the Snapdragon 625 SoC found on the Redmi Note 5. In fact, we haven’t seen a phone handling PUBG Mobile so well at this price point. Even the Realme 1 with the same Helio P60 struggled to offer decent gameplay, but thanks to the clean software on the 5.1 Plus, it performed way higher than expectations. The Nokia 5.1 Plus sports a 5.86-inch display panel rendering a resolution of 720 x 1520 pixels HD+, as opposed to the Full HD+ resolution on the Nokia 6.1 Plus. The highlight of the display is the notch up front which comes on the 19:9 aspect ratio screen similar to the higher priced model. The phone’s processing prowess comes from the octa-core MediaTek Helio P60 12nm processor clocking speed of 2.0 GHz with a Mali-G72 MP3 GPU. In the Indian market, the Nokia 5.1 Plus will debut only in a single memory configuration with 3GB of RAM and 32GB of internal storage. The phone will boot stock Android 8.1 Oreo out of the box. On the imaging and camera front, the Nokia 5.1 Plus comes with a 13MP + 5MP dual rear camera setup, whereas, there is an 8MP shooter on the front for selfies. On the back side, the primary 13MP shooter comes with a f/2.0 aperture and PDAF, while the front camera comes with a f/2.2 aperture. Additional features on the Nokia 5.1 Plus include a rear-mounted fingerprint sensor and Dual 4G VoLTE support. The phone draws power from the 3,060mAh battery. 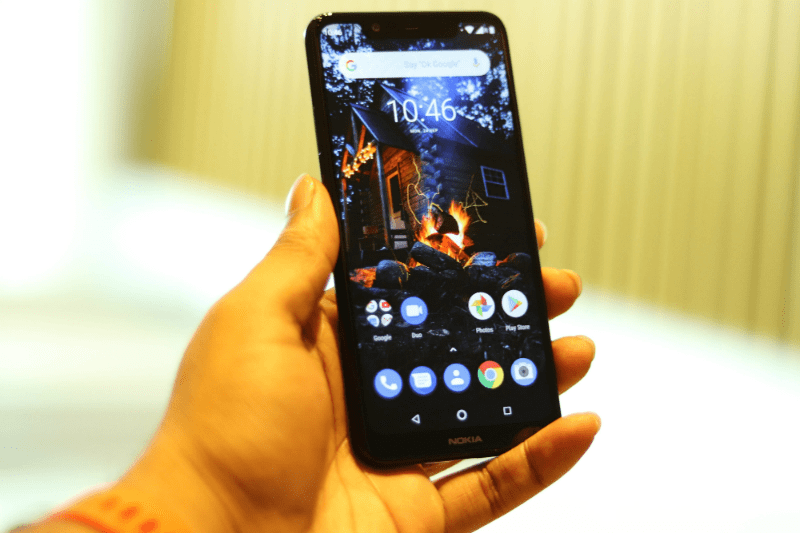 The budget-oriented device by HMD Global, Nokia 5.1 Plus will go live for sale tomorrow, i.e. on October 1 at noon. The phone will most certainly come with a lot of attractive offers. As part of this sale, first time Flipkart online buyers will be eligible for a 10% instant discount on the smartphone. The maximum discount on the phone will be limited to Rs 100 meaning that users will be able to buy the phone for Rs 10,899. HDFC Bank credit cards users will get 5% off on EMI transactions whereas there will also be a 5% discount on the same for Axis Bank Buzz credit card users. Nokia 5.1 Plus buyers who are Airtel subscribers will be able to get their hands on a cashback worth Rs 1,800, and they will also get up to 240GB free data when they recharge with Rs 199/249/448 prepaid plans. The Author conveniently forgets that Nokia 5.1plus is a HD+ device, which is a big big difference.